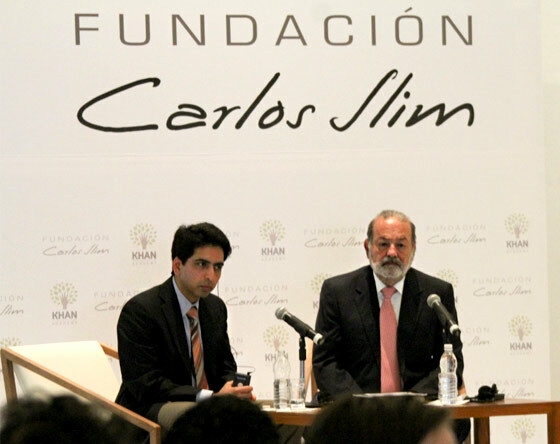 Alliance Between Fundación Carlos Slim and Khan Academy. January 14, 2013. Mexico, City. Salman Khan and Carlos Slim announce an Education Alliance to provide free access to world class education to the people of Mexico and Latin America. This will be done through cost-free courses available in the network, in English and Spanish, twenty four hours a day, everywhere and to everyone: students, teachers, parents and professionals, and also to give training in several economic activities, basically to those that generate more jobs. The main objective is to accelerate education of human capital in Mexico and Latin America. 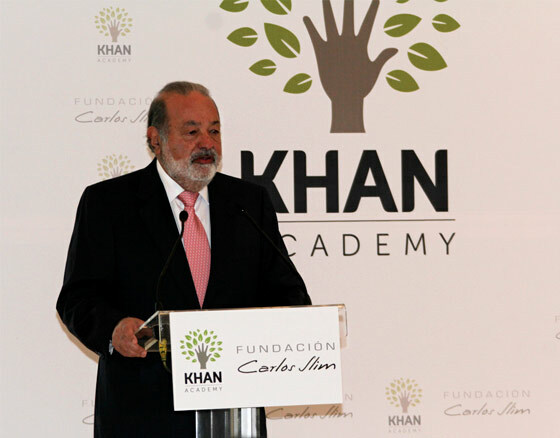 Fundación Carlos Slim will support the development of Khan Academy. In addition, it will provide all the necessary resources for the activities this Alliance carries out in Mexico. Besides this alliance, more than $4 billion pesos we will be invested to support the connectivity, development of digital libraries and providing equipment to schools, as part of our education collaboration program in Mexico. 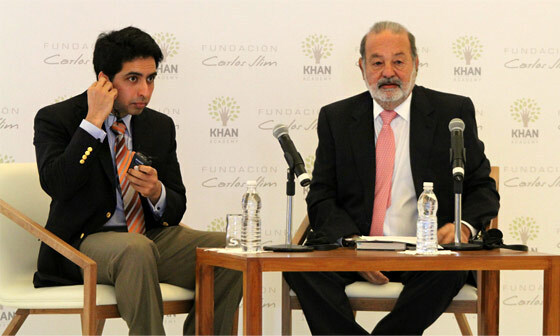 In a press conference, Salman Khan and Carlos Slim announced the signing of a Collaboration Agreement so that students, teachers, parents, researchers and those that require work skills, may have access to education and training courses. 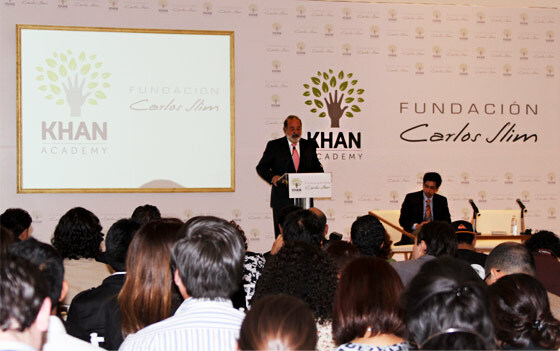 Fundación Carlos Slim will support Khan Academy in its development and will also contribute all the necessary resources for the activities this Alliance carries out in Mexico. Khan Academy is a nonprofit organization whose objective is to provide free and world class education to anyone and everyone all over the world. To date it has more than 3,800 videos on line and has taught 227 million courses to more than 6 million students. Thanks to this alliance, 500 of these courses are already available in Spanish in some of the most relevant areas, namely: Mathematics, Science, Finance and Economics and Humanities. The translated material has been selected with the following criteria: videos that have received more visits in the Khan Academy website, their education relevance and those that have consecutive and complete lessons. 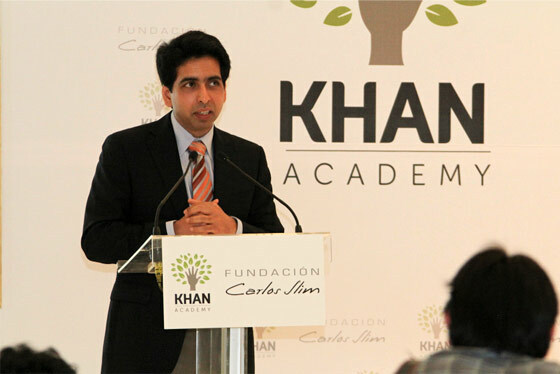 In accordance with the Fundación Carlos Slim work program, as of the month of April 2013, there will be more than 1,000 Khan Academy videos translated into Spanish. giving access to educational content, promoting in a significant manner the use of technology, through innovation and the backup of our network, to support the work of students, teachers, parents and those who are looking for a job. In addition to this alliance, we shall invest more than $4 billion pesos in the next three years in our various programs that promote the development of human capital in Mexico.